It’s easy to invest a lot of energy in your Minecraft creations. Thankfully, it’s just as easy to back them up. Read on as we show you how to ensure your Minecraft Realms worlds are safe and sound. 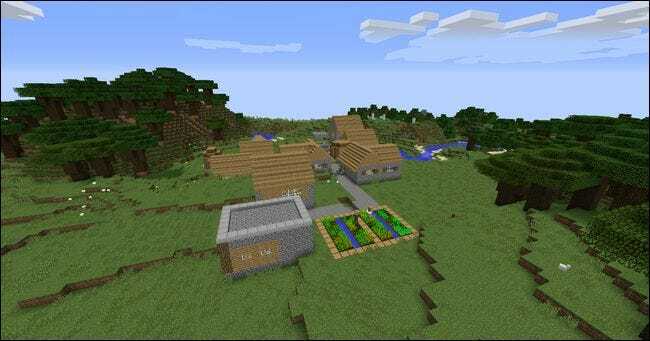 While the most obvious reason for backing up your Minecraft Realms world is simply to have a safe second copy of it, it’s actually a bit more nuanced than that. Yes, you always want to back up anything you’ve worked so hard on. 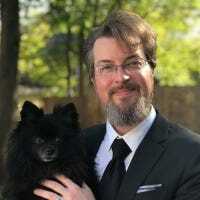 While Minecraft Realms is a top-notch service run by Mojang itself, there’s always room for potential error and any world you’ve invested any serious energy in building–large structures, towns, or Redstone creations–should be backed up every now and then just to play it safe. In addition to backing up your world to protect against unlikely server failure, it’s also practical to back up your worlds to protect against the much-more-likely chance that your friends (or you) might do something that causes a great big mess. Take, for example, the lovely village in the screenshot above. 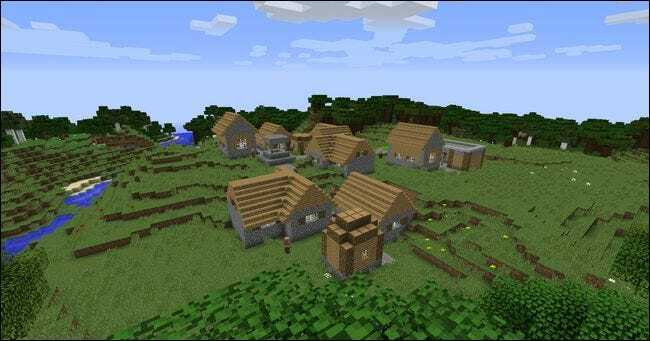 We’ve been encouraging the villagers to breed, and we’re about to start working on building fortifications around the village. It’s not a huge project yet, but it is a pain to find a good village in a survival world. We’ve already done a fair bit of work inside the buildings, and stored a lot of supplies in chests. What could go wrong at this stage? 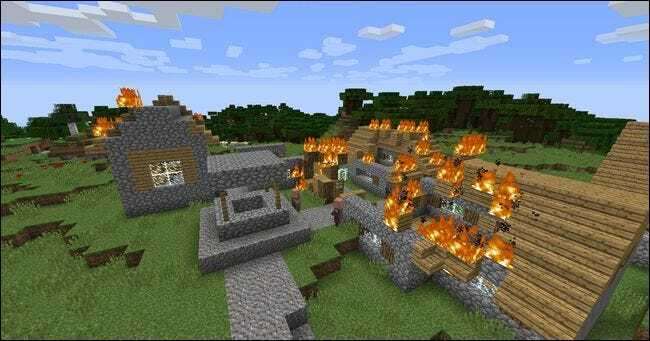 We’re not going to name any names but somebody tried jazzing up one of the bigger village houses with a fireplace that clearly didn’t meet Minecraft building code for fire containment, and the next time we logged in we found the village ablaze with fire spreading from roof to roof. This is a perfect example of where both the built-in Minecraft Realms backup system (which does on-server backups) and the restore-from-backup function (where you upload backups you’ve kept on your computer) prove very useful. Backup is also useful when you want to take a world you like out of rotation, but keep it available for later play. Minecraft Realms only has four total world slots and one of them is reserved for minigames, thus you can only have three traditional worlds loaded at any given time. There is a good chance that at some point in the lifespan of your Realms server, you will have a world you’re not ready to truly delete yet, but don’t often play. Downloading a just-in-case backup so you can return to the world later on is a great way to avoid losing your build forever. Finally, there’s a use case that gets away from pure backups: working on your world offline. Let’s say that you’re going to be somewhere without reliable Internet access for an extended period of time and you’d like to use some of that time to work on your world. 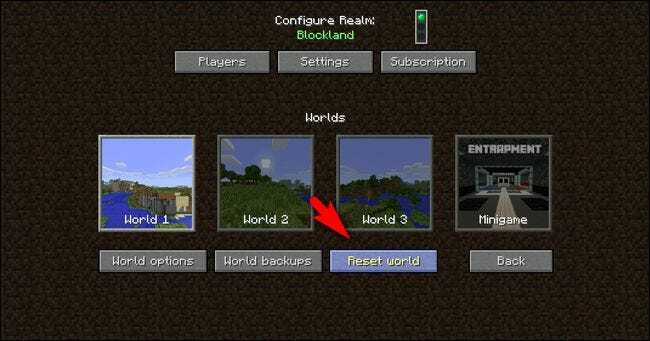 You can use the backup function to download your Minecraft Realms world right to your laptop and take it with you (only to turn right back around after your trip and upload it with all your additions). Let’s take a look at how to do all those things–server backup, local machine backup, and world restoration–now. There are two ways to back up your Minecraft Realms worlds. The first uses the server-side backup system which happens automatically in the background so even if you’re not on top of your backup routine, there are server-side backups to restore from. The second method involves actually downloading your Minecraft Realms world to your local PC where you can store it, play it, or both. We’ll take a look at both methods but first you’ll need to launch Minecraft, click on “Minecraft Realms” on the main menu, and then click on the configuration wrench seen in the screenshot above. We noted in the beginning of this section that server-side backups occur automatically in the background at intervals while your server is active. Curiously, however, there is no GUI button or in-game console command where you can force a backup, like typing “/backup” while playing on the server. Nonetheless, you can actually force a backup in a clever way if you need to. If you and your friends are planning on doing a major change to your builds that would be really annoying (if not impossible) to reverse, this is a great little trick. Pull up the configuration menu of your Realms server and unload your current world and temporarily replace it with a minigame by selecting the Minigame button, seen above, and picking a game. This is a completely undocumented trick, but it works like a charm. When you switch to the minigame level (you don’t even have to load the minigame and actually play it), Realms automatically performs an immediate backup of your current world before unloading it and replacing it with the minigame. Simply select your world (e.g. “World 1”) to reload it and the backup process is complete. If you want a copy of the world from your Realms server on your local PC, either for archival purposes or for playing offline, you can download it easily. Make sure the world you wish to back up is the active world. For demonstration purposes we’re downloading “World 1” which, as seen in the screenshot above, is the currently loaded world. With the world selected you wish to download the backup for, select “World backups”. Here you can select “Download Latest” to download the latest backup of your world. A warning screen will display, indicating that the current world will be downloaded and added to your single player worlds on your local PC. Click yes that you want to continue and the world will be downloaded and stored with the other single player worlds on your PC. From here, you can load up a single player game and play the map or you can copy the worlds folder out of the Minecraft directory and store it separately from Minecraft to ensure that it stays in a pristine state (which, if you’re doing this for backup purposes only and not local play, we highly recommend). For information on how to backup your Minecraft local saves, if you’re unfamiliar with the process, check out our guide on the subject here. Just like there are two ways to back up your Minecraft Realms world, there are two ways to restore it. 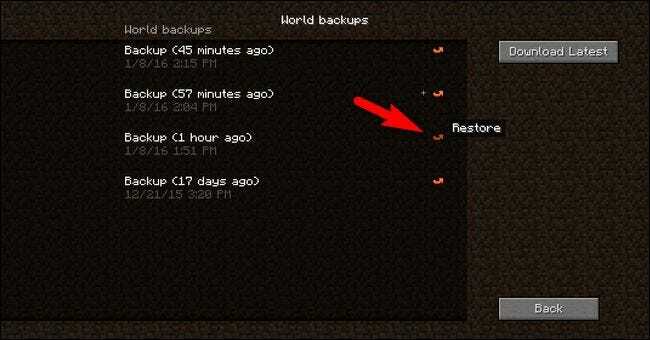 You can restore your worlds from server-side backups (which is a single click affair and can be performed even if you have no local backups) or from saves located on your local computer. You’re in the game, you realize you just goofed something up pretty big (like, I don’t know, lighting the roof line of the entire village on fire), and you want to immediately jump back to the last save point. 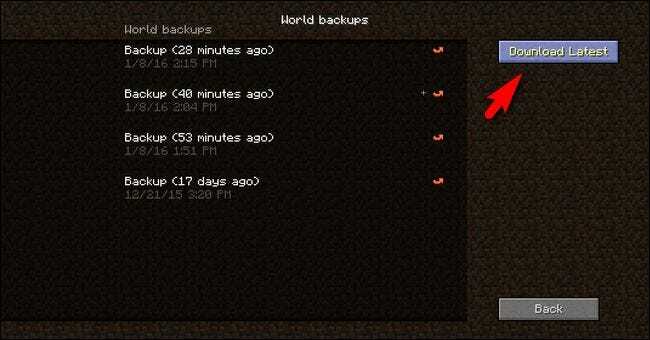 Just hop back into the configuration menu (via the wrench icon on the main Minecraft Realms screen) and select the “World backups” button as we did in the previous section of the tutorial. Select the little red restore arrow next to the version of the world you wish to restore. You’ll receive a confirmation screen detailing the time and date the restoration was created and prompting you to confirm or deny the restoration. Confirm the restoration to continue. Once the restoration is complete, and it should only take a moment or two, you can jump right back into your world. Here’s our village, seen from the opposite side, with all the roof lines intact thanks to our backup-restoration firefighting technique. To restore from a local backup, you essentially perform the same steps we outlined in our guide to uploading custom worlds to Minecraft Realms, except this time you’re not uploading a world you downloaded or started on your local machine, but a world you’ve previously downloaded from your Realms server. Select the world you wish to restore, in our case “World 1”, and then select “Reset world”. 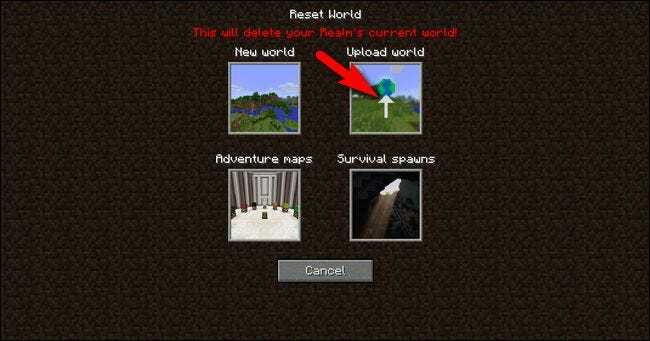 In the reset world menu, you’ll be warned that the process will delete your current world and then be prompted to make a world change selection. Select “Upload world”. Look for the local entry that matches the Realms name, the world name, and the backup date of the file you wish to upload. In the screenshot above, you can see the world is clearly labeled “Blockland (World 1)”. If you do not see the world you wish to upload in the list this means that it is not in the local Minecraft /saves/ directory (most likely because you moved it somewhere else during the backup process), you’ll need to take a copy of the world folder and dump it back into the /saves/ directory. 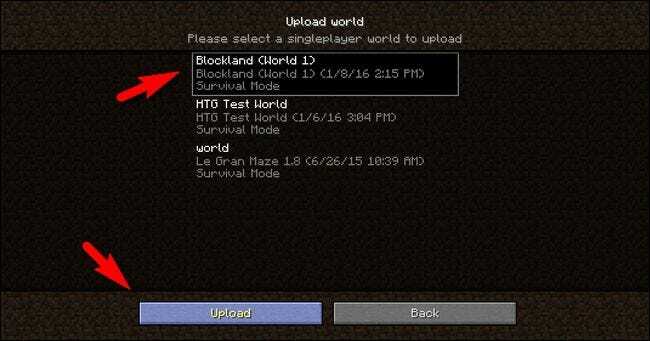 Select the “Upload” button and your local world save will be uploaded to your Minecraft Realms server. Set that world map as the current one and then hop right back into the world and resume play as if it was the day you backed the map up.